I'm so excited to be a part of this unique opportunity from Jaded Blossom! I have absolutely fallen in love with their stamps and dies! You can visit their website HERE to check them out! For my project today I'm sharing a decor item. I needed a little something festive for my wall and this was the perfect time to do it! I used a box frame from Michael's so the finished piece is "set back" in the frame. 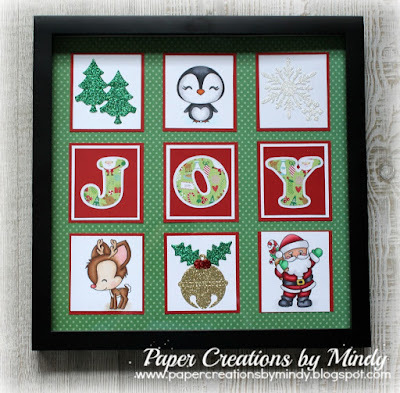 The letters for JOY I created in my Silhouette Designer Studio using Doodlebug paper. All the die pieces (tree, snowflake and bell) I cut out in glitter paper. Thank you for stopping by and I hope I inspired you with my creation! Way too cute! What a great idea! Very beautiful piece of wall art! Great job! So pretty Mindy...what a wonderful idea! 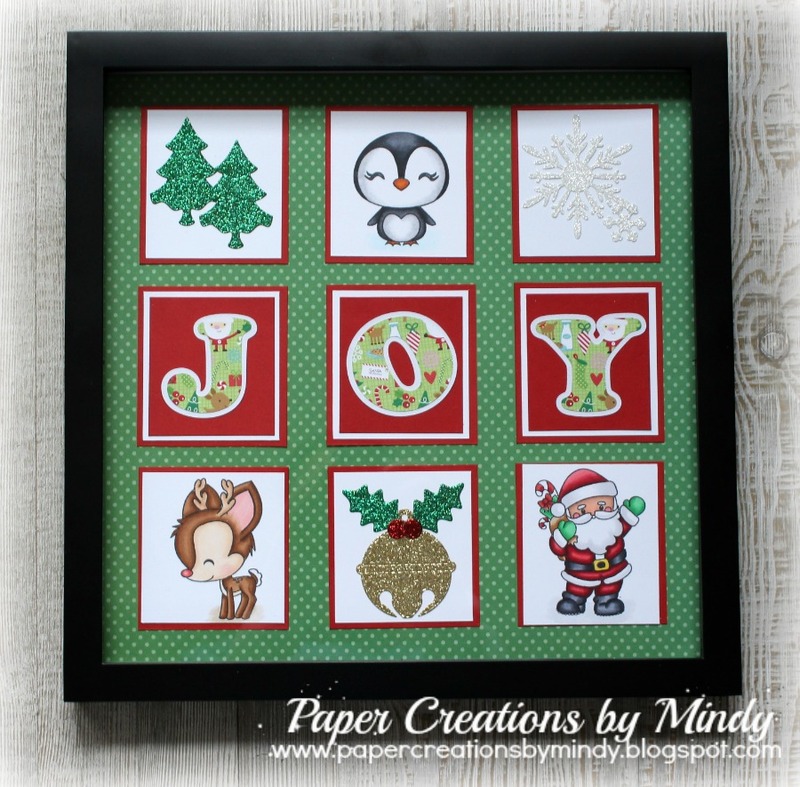 Super cute Home Decor project Mindy! Looks fantastic! Wow, Mindy, this looks incredible!!! This is gorgeous! Love the coloring!